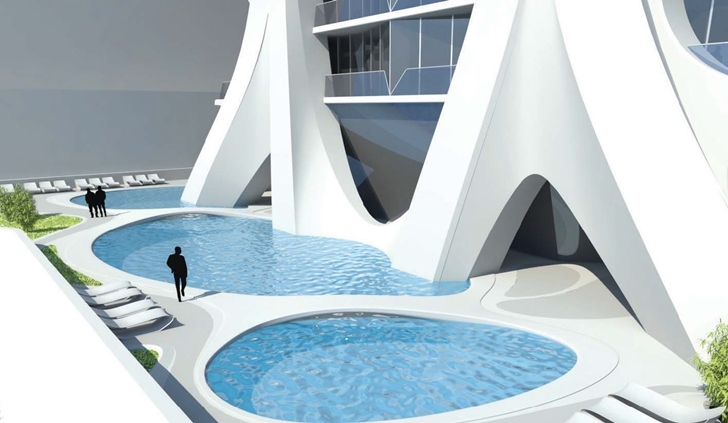 One would say those are sad years for Miami since new architecture is more low-rise than high-rise, here's one exciting news from one of the best architecture offices in the world. 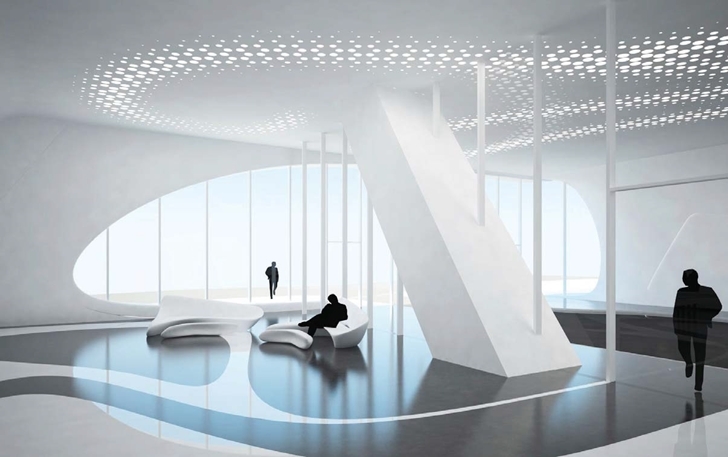 Zaha Hadid Architects designed One Thousand Museum or simply 1000Museum, a 60-storey residential skyscraper that will blow this dust from Miami skyline. 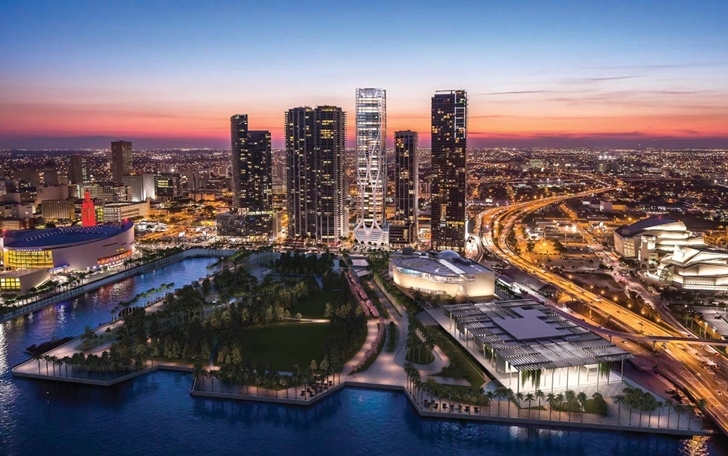 One Thousand Museum will be located on famous Biscayne Boulevard in Downtown Miami. 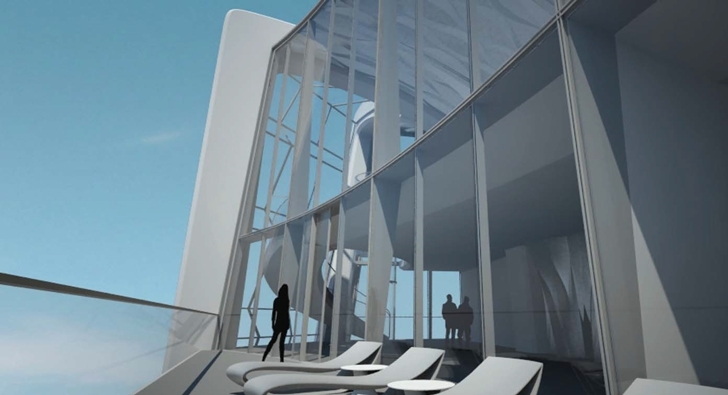 This 215-m (705ft) tall piece of modern architecture will give this artistic touch to Miami. 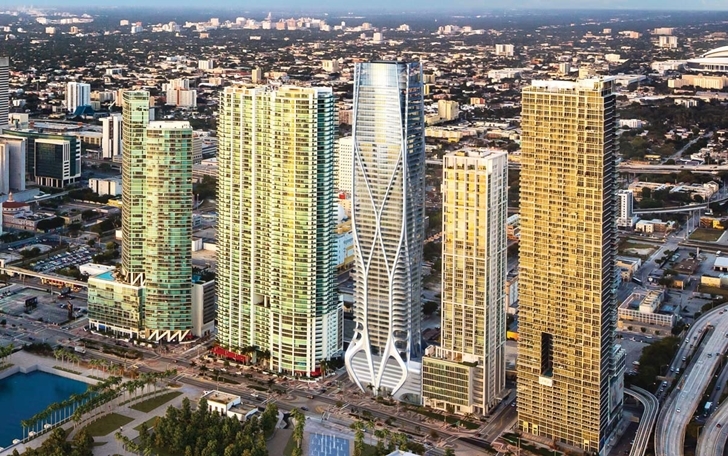 "I really love Miami, but I don't think the architecture matches the city" said Zaha takling about modern design of the new skyscraper. 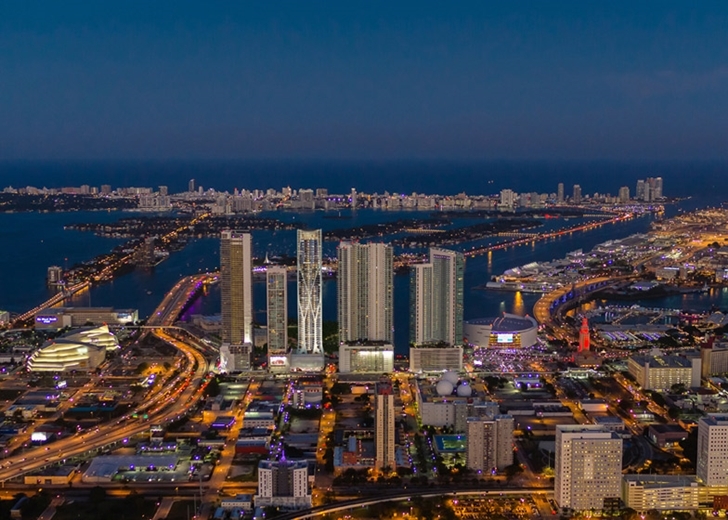 "As Miami has transformed into a truly global city, it has become a prime location for the development of a worldclass residential skyscraper that will meet the expectations of clientele with sophisticated taste. 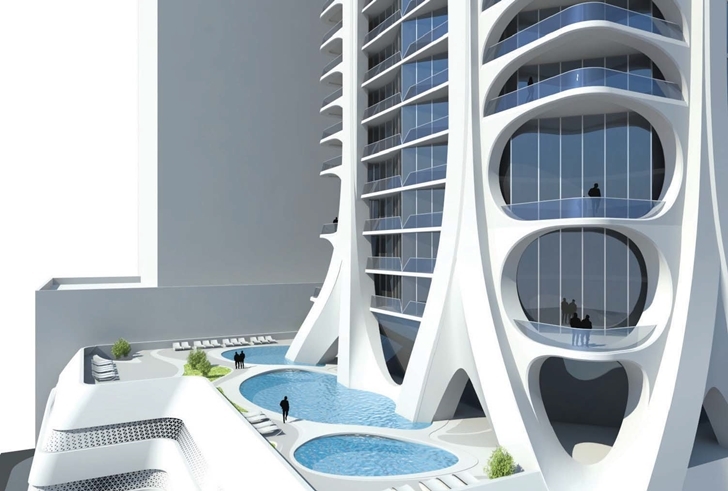 Beyond a prominent location distinguished by unparalleled views and visibility, such a project demands an ambitious creative vision, one that ofers private ownership of an iconic piece of architecture. 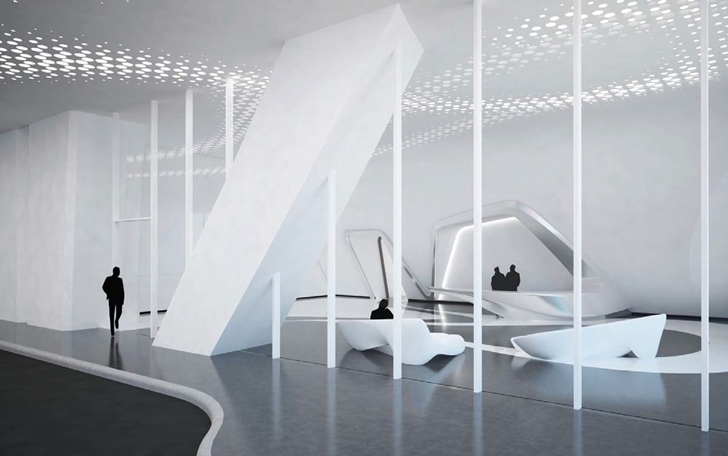 One Thousand Museum appears as a continuous piece of contemporary sculpture from the podium to the crown. 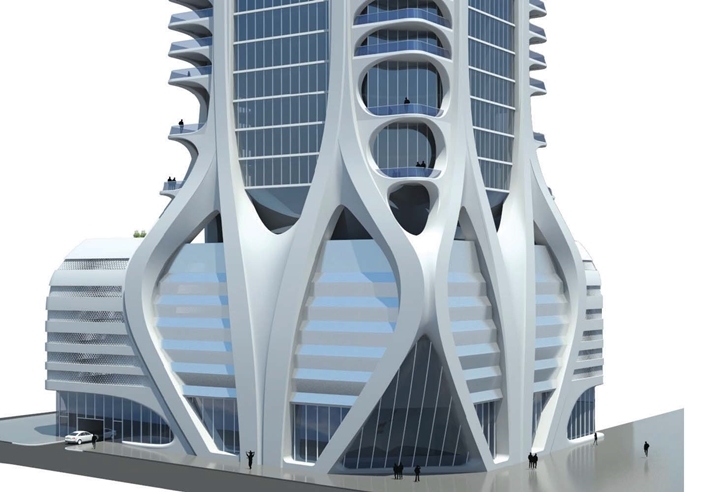 The sensuous curves of its structural exoskeleton reject the internal organization of the tower as it rises 60 stories from the arrival podium to a dramatic double-height amenity space at its crown. 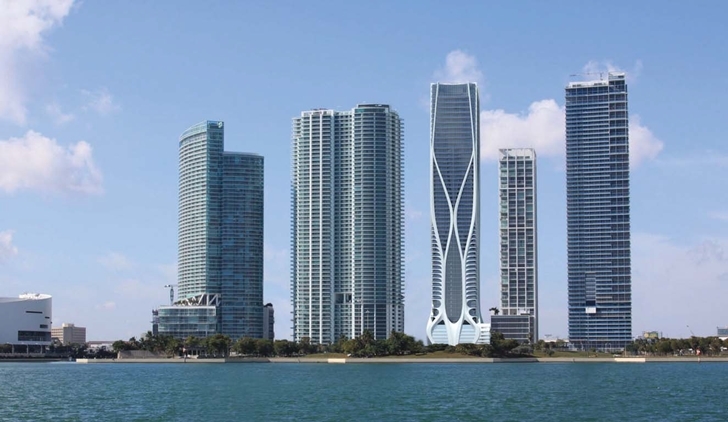 Inside, the tower is composed of distinct residential zones duplex town homes at levels 10 to 14, half-foor residences from levels 15 to 49, full-floor penthouses from levels 50 to 57, and a duplex penthouse at levels 58 and 59. 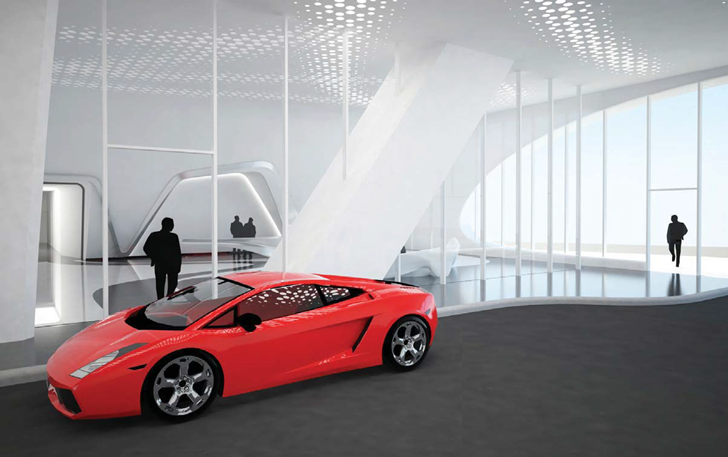 With a limited number of expansive residences, One Thousand Museum is uniquely positioned to offer a truly secure living environment. 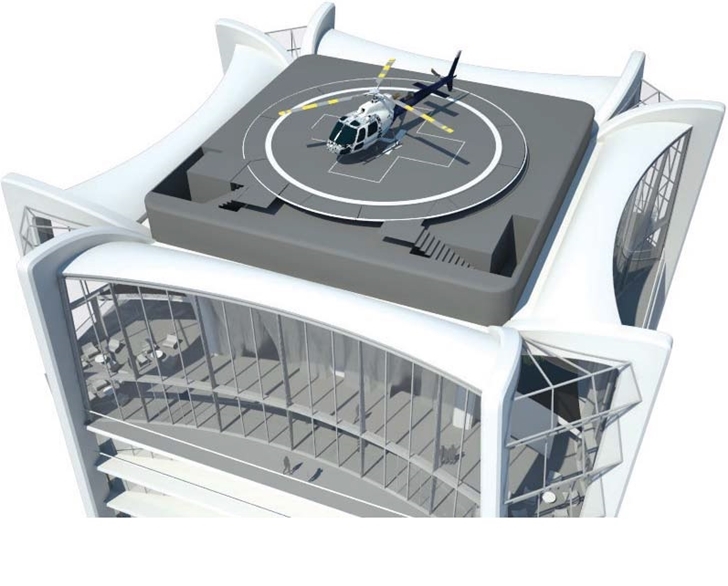 A world-leading security consulting firm has worked closely with the development team to design a comprehensive security program focused not just on residents, but also their guests and their personal property. 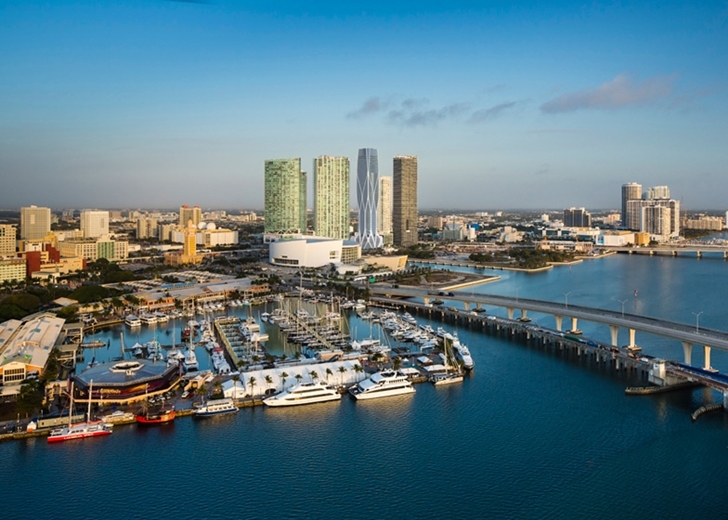 Internationally acclaimed for its cutting-edge contemporary art scene, chic nightlife, tropical beaches, and year-round temperate weather, Miami has in recent years also become home to a number of the United States’ most prestigious cultural institutions and most exciting entertainment venues. 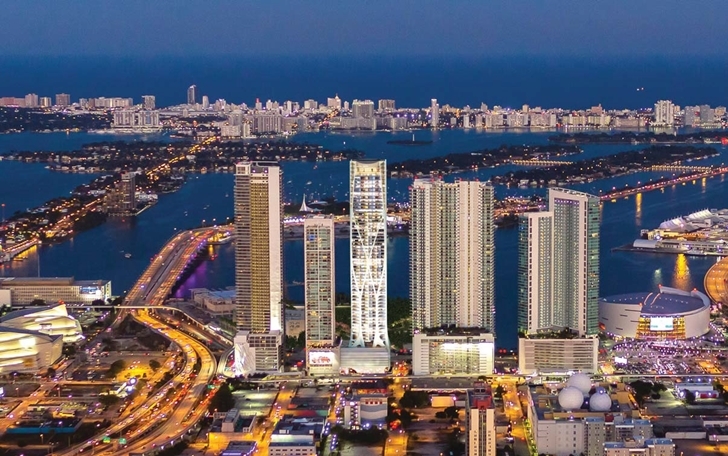 One Thousand Museum sits at the nexus of all of these desirable destinations just minutes from South Beach and the Brickell fnancial district. Beach and the Atlantic Ocean beyond. 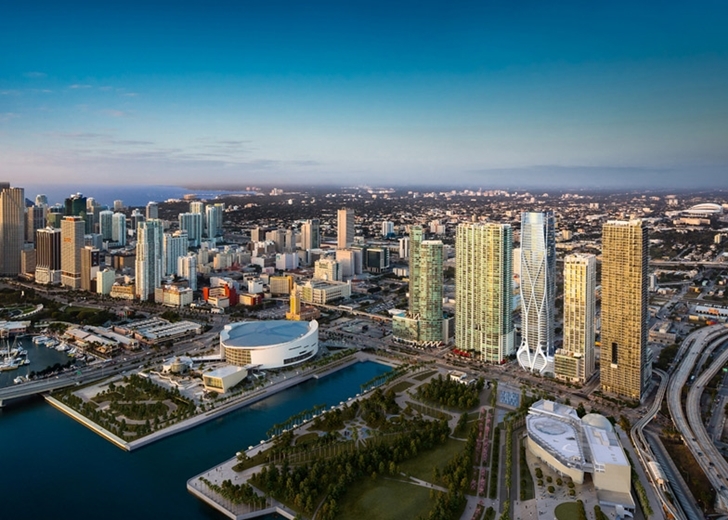 Overlooking PortMiami, residents of One Thousand Museum will also enjoy the parade of cruise ships embarking to sea." 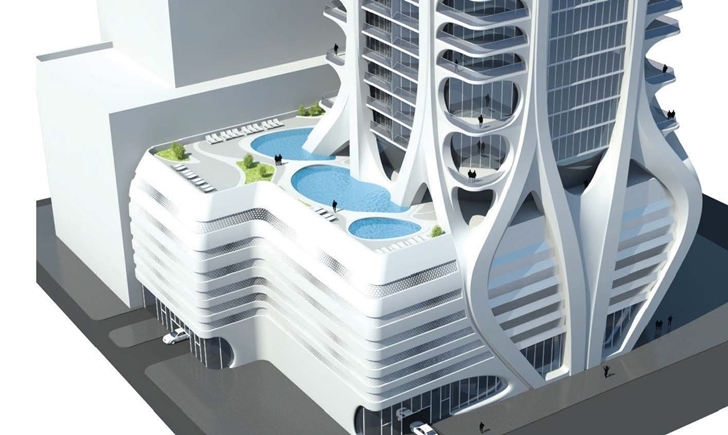 How do you like this new Miami skyscraper desogned by Zaha Hadid? Let us know in the comment section below.